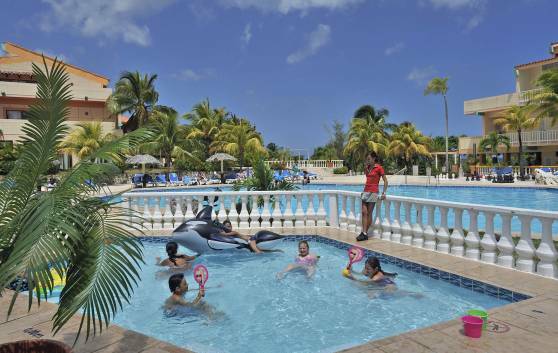 Affordable family vacation packages at Sol Rio de Luna y Mares Resort, Holguin. At the 4-star All-Inclusive Sol Río de Luna y Mares Resort, you will find offers for family vacations: adults and children of all ages. We offer family suites, mini-clubs, baby-clubs, baby sitting services and a special show for families. Vacationers are free to take part in as many or as few of the programs as they desire. Make your perfect All-Inclusive family vacation plans in this hotel for both adults and children. Trips and packages available for families. 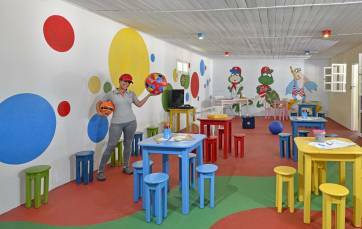 Our Mini Club offers games, excursions, mini-disco and shows organized by our highly specialized staff for the enjoyment of children from 5 to 12 years of age.